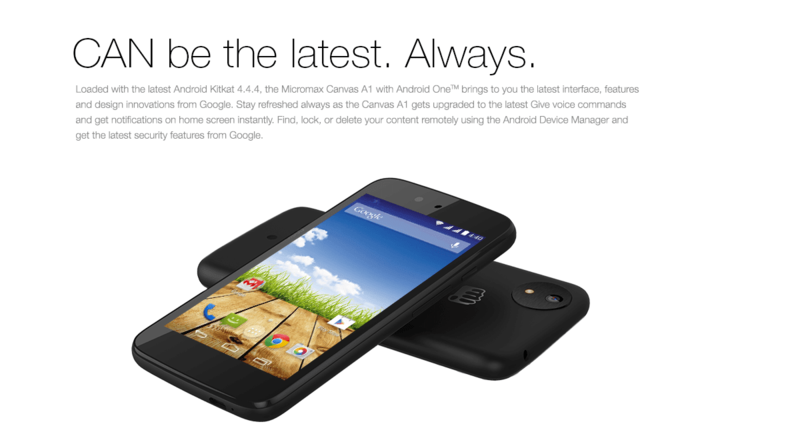 Home Mobile Phones Get the brand new Micromax Canvas A1 with android one. 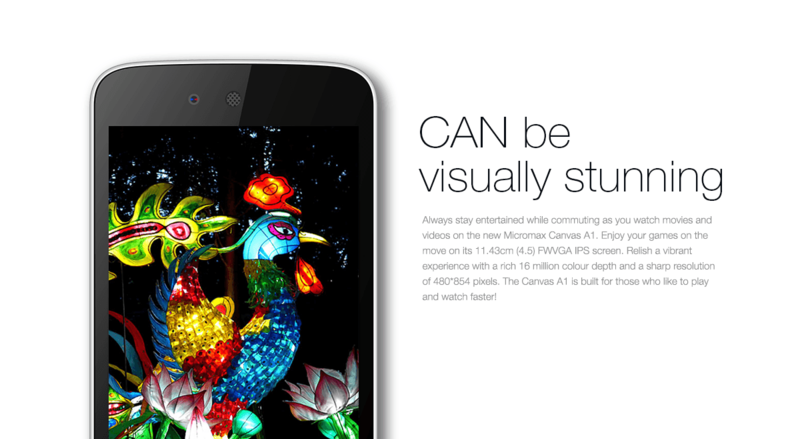 Get the brand new Micromax Canvas A1 with android one. Get the brand new Micromax Canvas A1 with android one, available exclusively at Amazon.in at Rs 6,499/- only. Micromax is a leading mobile phone brand in India and currently the second largest smartphone company in India. The biggest draw about Micromax phones is that they are affordable and still innovative smartphones that offer similar features and benefits to high-end smartphones. 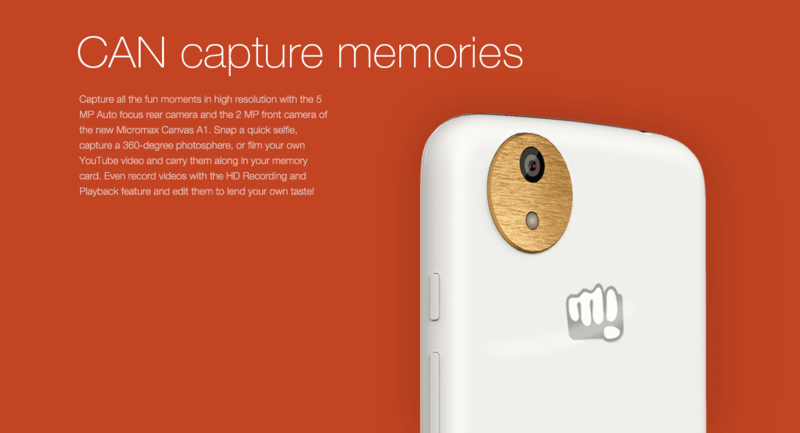 The Canvas series is a popular one by Micromax and features a range of smartphone mobiles that you can choose from. The most recent Micromax Canvas phone in the market to show extremely good results is the Canvas Nitro which features a 1.7GHz Tru-Octacore Mediatek CPU, 2GB RAM and a quad-core processor. The Nitro is great for games and movies as they run very smoothly with no glitches. Phones in this series offer features like full HD display screens, octa-core or quad-core processors, high MP rear camera and even great front-facing cameras as compared to other smartphones. 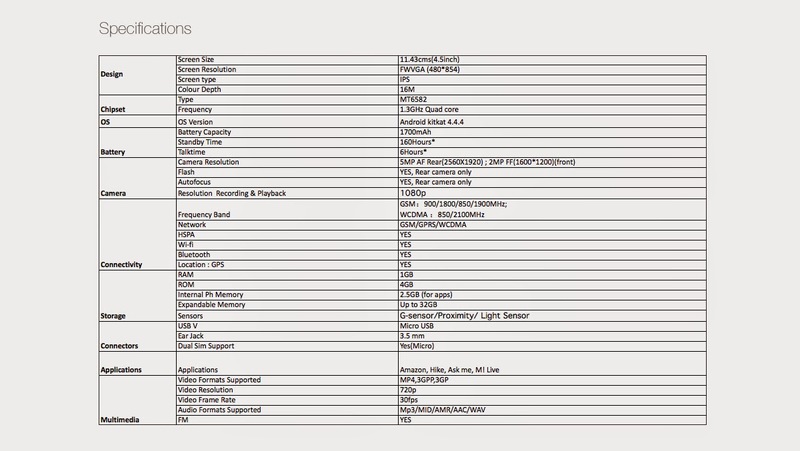 All Micromax phones come with preloaded applications like Book My Show, Kingsoft Office, M! Games, MAd and so on. All Micromax phones give you connectivity options like Wi-Fi, Maps, Bluetooth etc and most even have Dual-SIM capabilities so you can fit a lot more into a single phone making your life on the go that much easier. The newest addition to the Canvas series family will be the Micromax Canvas A1 with Android One which comes equipped with the best of Google features and apps pre-programmed into it. Check out the range of Micromax phones available and buy Micromax mobiles online at Amazon and have a look at the most recent Android One phone on offer as well. Hurry up friends it is a limited period offer.